Starting with the Lipsticks (£17.00) – there are four shades to choose from with differing finishes. I have Can’t Be Tamed and Midnight Troll above. Ok so I can officially say I’ve never seen any lipsticks even remotely like these before. 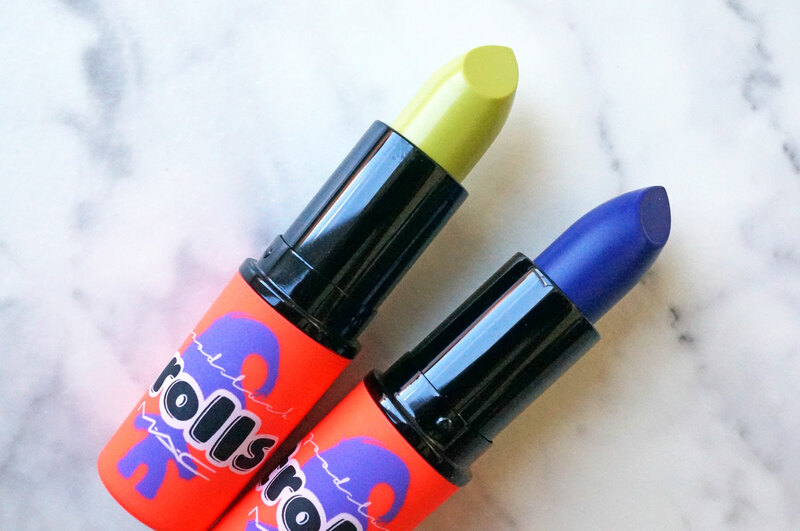 Firstly, the packaging is neon orange, which I absolutely love, and these shades are just insane! 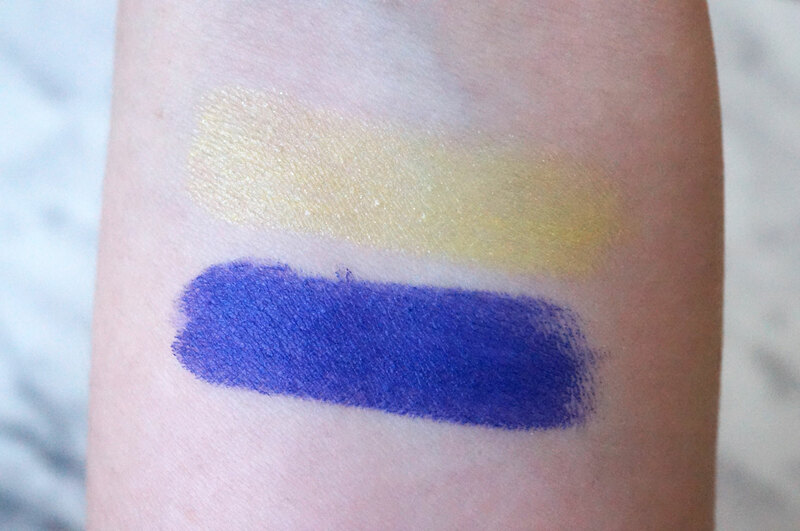 Can’t Be Tamed is a sheer lime toned yellow, and Midnight Troll is a gorgeous intense deep blue – I actually love this! 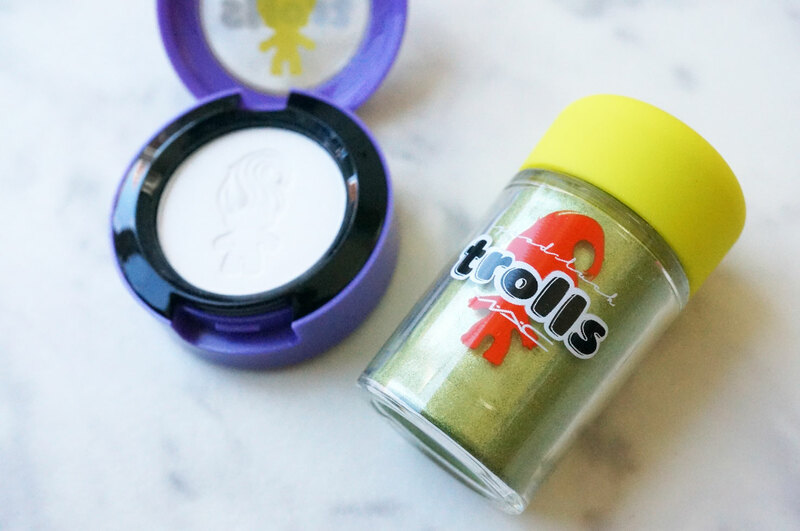 I have the Eyeshadow in Silly Vanilly – it’s described as a satin white with a fine silver glitter. It’s actually a really nice true white shade, but I didn’t feel there was much glitter in it though. 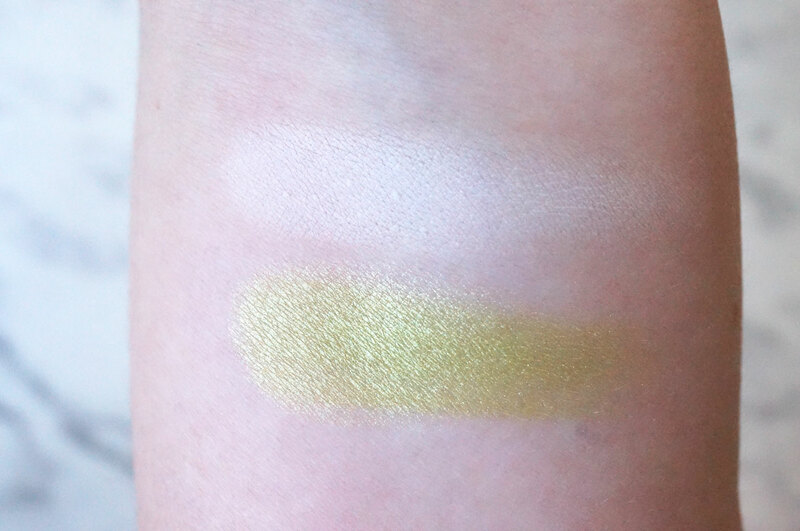 But the Pigment in Chartreuse – now this really is gorgeous! 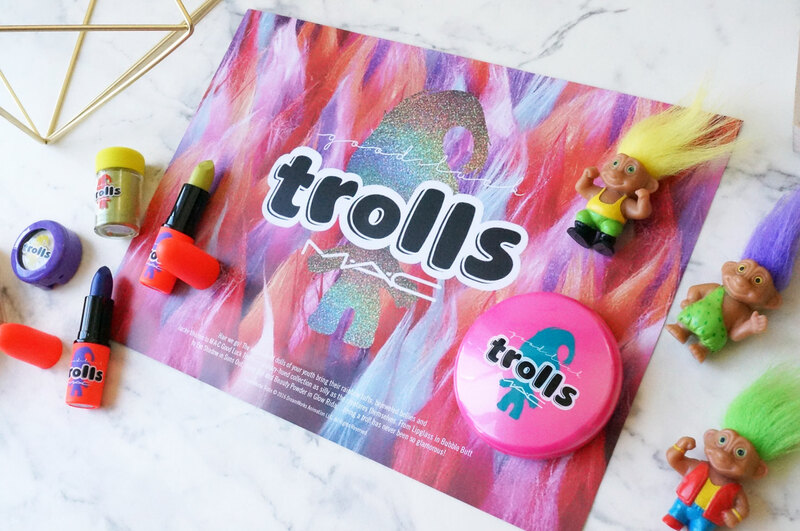 Fans of MAC Pigments will know the fantastic colour payoff they give, the pigment formula is also super soft and blendable, making it a joy to apply. 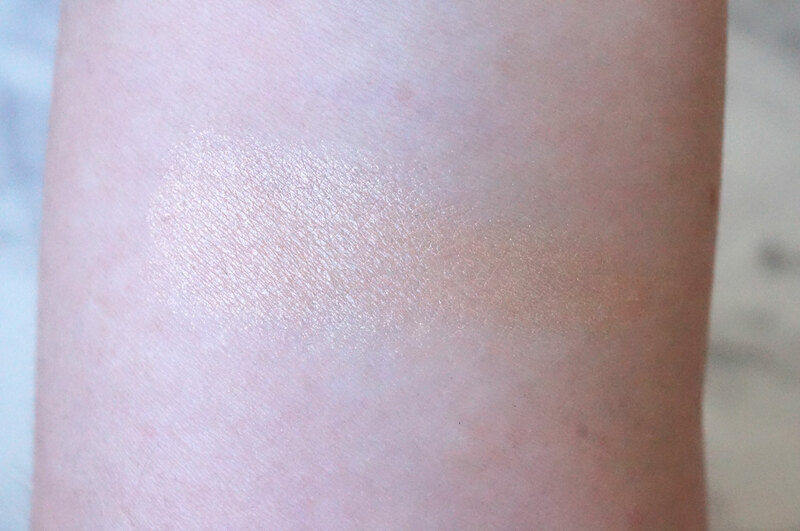 Glow Rida is a gorgeous champagne beige with a golden shimmer. 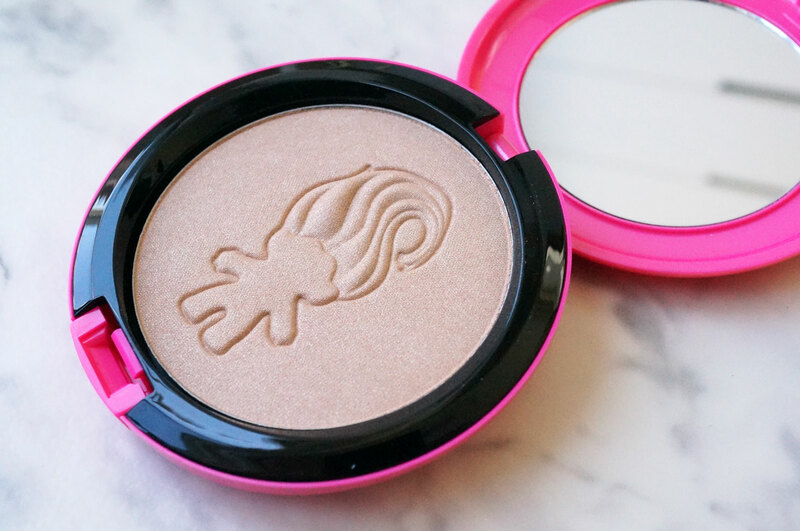 This would work wonderfully well as a highlighter on both the face and body. 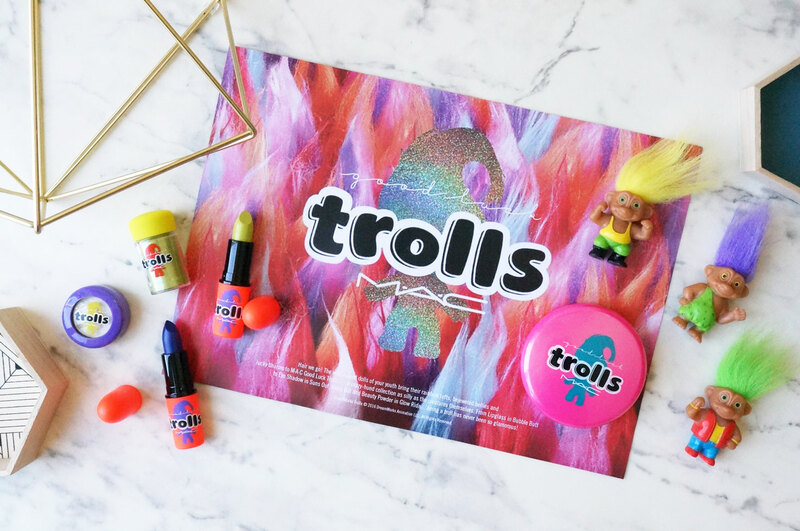 The Good Luck Trolls collection is available now at Selfridges.